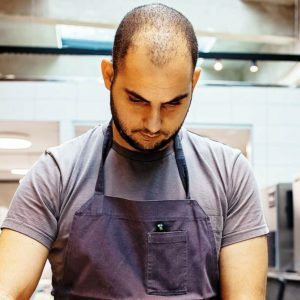 Tarek Alameddine, originally from Aley, Chouf region, first turned to cooking as an outlet for stress and as a way of enjoying food, but it was only when he was majoring in Business that Almeddine realized he should be considering cooking as a career. His passion took him to Les Roches, via the Royal Academy of Culinary Arts Jordan. Soon he began planning his internship, which he was determined to do at D.O.M, with the famous Brazilian chef, Alex Atalla. Almeddine applied twice to Noma because he wanted to discover more about the Danish chef, René Redzepi’s vision. 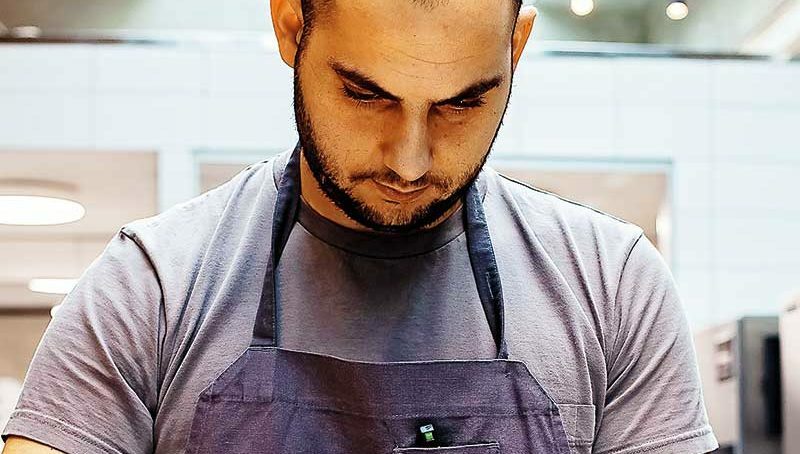 Still at Noma, he is currently toying with the idea of coming back to Lebanon and opening a restaurant unlike anything yet experienced in the country.